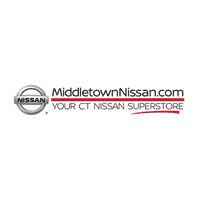 At Middletown Nissan you can find a quality vehicle for the right price. Our extensive inventory of affordable used cars under 10k is bound to have something for you and your New Britain or Meriden commutes. Find a used Nissan Rogue or used Nissan Sentra at a more affordable price to help enhance your trips. Find a budget-friendly option in our inventory and pair it with our used vehicle specials to help you save even more on your next Nissan. #1 FACTORY CERTIFIED NISSAN DEALER IN NEW ENGLAND! CLEAN CARFAX/NO ACCIDENTS REPORTED, RECENT TRADE, LOCAL TRADE, 4D Sedan, 2.0L I4 MPI DOHC, FWD, Gray, Gray w/Premium Cloth Seat Trim, ABS brakes, ABS w/Electronic Brake Force Distribution (EBD), Heated door mirrors, Illuminated entry, Low tire pressure warning, Power Heated Mirrors, Remote keyless entry, Remote Keyless Entry System w/Alarm, Tire Pressure Monitoring System. Hyundai Elantra Gray FWD Our Sales, Service and Parts Departments work closely together to provide you with the most enjoyable, least stressful car-buying experience possible. The average tenure for our sales people, managers, technicians and all other employees is over 20 years. Most of them have been career employees of Middletown Nissan - and with that much experience, you can be sure they'll provide you with the highest quality care for you and your vehicle. We are also proud to be a Better Business Bureau Accredited Business with an A+ rating. #1 FACTORY CERTIFIED NISSAN DEALER IN NEW ENGLAND! CLEAN CARFAX/NO ACCIDENTS REPORTED, RECENT TRADE, LOCAL TRADE, Jetta 1.8T SE, 4D Sedan, 1.8L I4 DOHC, 6-Speed Automatic, FWD, Tempest Blue Metallic, Black/Carbon w/Unique V-Tex Leatherette Seat Trim. Volkswagen Jetta Tempest Blue Metallic FWD 25/36 City/Highway MPG Our Sales, Service and Parts Departments work closely together to provide you with the most enjoyable, least stressful car-buying experience possible. The average tenure for our sales people, managers, technicians and all other employees is over 20 years. Most of them have been career employees of Middletown Nissan - and with that much experience, you can be sure they'll provide you with the highest quality care for you and your vehicle. We are also proud to be a Better Business Bureau Accredited Business with an A+ rating. #1 FACTORY CERTIFIED NISSAN DEALER IN NEW ENGLAND! ONE OWNER, CLEAN CARFAX/NO ACCIDENTS REPORTED, BLUETOOTH/HANDS FREE/CELL PHONE, MOONROOF/SUNROOF, RECENT TRADE, LOCAL TRADE, 4D Sedan, 2.5L I4 SMPI DOHC, 6-Speed Automatic, FWD, White, Ivory w/Fabric Seat Trim, ABS brakes, Electronic Stability Control, Front dual zone A/C, Heated door mirrors, Illuminated entry, Low tire pressure warning, Power moonroof, Remote keyless entry, Traction control. Toyota Camry White FWD 25/35 City/Highway MPG Awards: * 2012 KBB.com 10 Best Sedans Under $25,000 * 2012 KBB.com 10 Most Comfortable Cars Under $30,000 * 2012 KBB.com Best Resale Value Awards Our Sales, Service and Parts Departments work closely together to provide you with the most enjoyable, least stressful car-buying experience possible. The average tenure for our sales people, managers, technicians and all other employees is over 20 years. Most of them have been career employees of Middletown Nissan - and with that much experience, you can be sure they'll provide you with the highest quality care for you and your vehicle. We are also proud to be a Better Business Bureau Accredited Business with an A+ rating. #1 FACTORY CERTIFIED NISSAN DEALER IN NEW ENGLAND! ONE OWNER, CLEAN CARFAX/NO ACCIDENTS REPORTED, RECENT TRADE, LOCAL TRADE, Mirage G4 ES, 4D Sedan, 1.2L 3-Cylinder DOHC MIVEC, FWD, Red, Black w/Cloth Fabric Seating Surfaces. Mitsubishi Mirage G4 Red FWD Reviews: * Impressive fuel economy with CVT; one of the least expensive cars available; generous warranty. Source: Edmunds Our Sales, Service and Parts Departments work closely together to provide you with the most enjoyable, least stressful car-buying experience possible. The average tenure for our sales people, managers, technicians and all other employees is over 20 years. Most of them have been career employees of Middletown Nissan - and with that much experience, you can be sure they'll provide you with the highest quality care for you and your vehicle. We are also proud to be a Better Business Bureau Accredited Business with an A+ rating. Find out more about the Nissan maintenance schedule, our inventory stock, and more when you contact the knowledgable staff at Middletown Nissan. We can help you into the affordable Nissan SUV, sedan, or truck you’ve had your eyes on. Contact us today! Whether or not you’re searching for a used Nissan Titan or used Nissan Maxima, you’re sure to find something up your alley and within your budget at Middletown Nissan. From SUVs to sedans, we’ve got what you need. Browse our inventory to find the pre-owned vehicle you want as well as the pre-owned vehicle specials to help you save even more. Once you’re ready, apply for financing online or contact us today to get the process started.